As the work continues on the stadium at Village West, there are a few non-building details that are sure to draw attention in the near future. One is naming rights. Sporting president Robb Heineman told The Full 90 a few weeks ago that soon we would know what the stadium will be called. While it’s a given that a corporation will stick its name on the stadium, it would be cool if the Sporting owners gave a nod to the past. Name the field itself Lamar Hunt Field. When I was at Iowa State (hold your jokes, please), the Cyclones lost many a game at Jack Trice Field at Cyclone Stadium. As students, we usually only referred to it as Cyclone Stadium. But Jack Trice was the first African-American football player at Iowa State, and it was a nice tribute to him. It would be cool if Sporting did the same for Mr. Hunt. I know some hurt feelings remain about the handling of the team in the final years of his ownership. But because of him, the Wiz (then Wizards, then Sporting Kansas City) started here, and he helped Major League Soccer come into existence. 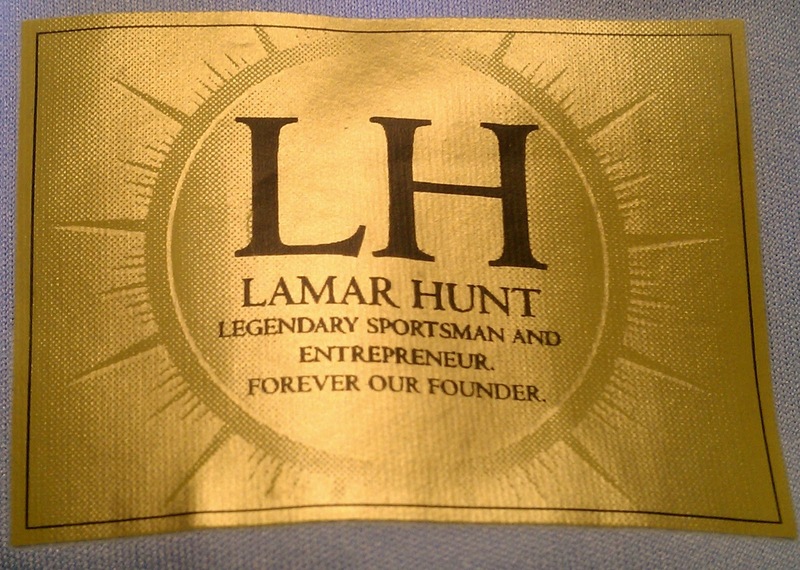 to include an inscription about Mr. Hunt inside the team’s jerseys this season. The players will always see it, but the fans won’t. However, having the team play at Lamar Hunt Field will be a reminder of why we are fortunate enough to have a team in Kansas City in the first place.